Hair Barrettes There are 17 products. 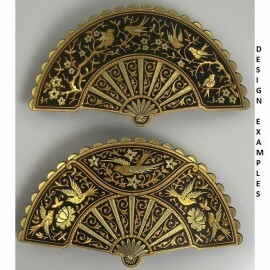 Damascene Gold Bird Fan Hair Barrette style 2344. Damascene Jewelry by Midas of Toledo Spain. 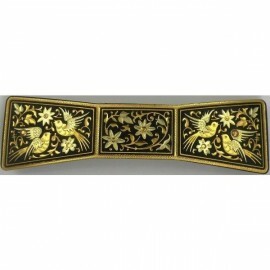 Golden Hair Barrette. Damascene Womens Jewelry. 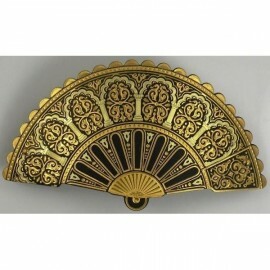 Damascene Gold Geometric Fan Hair Barrette style 2344. Damascene Jewelry by Midas of Toledo Spain. 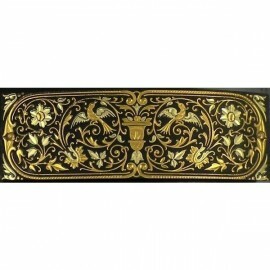 Golden Hair Barrette. Damascene Womens Jewelry. 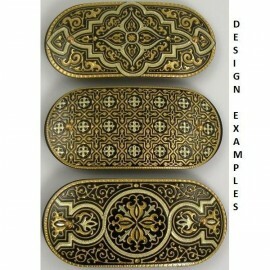 Damascene Gold Geometric Hair Barrette style 2346. Damascene Jewelry by Midas of Toledo Spain. Golden Hair Barrette. Damascene Womens Jewelry. 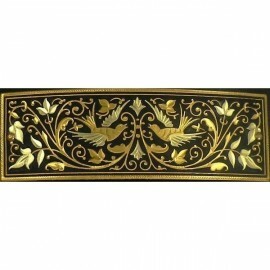 Damascene Gold Bird Hair Barrette style 2346. Damascene Jewelry by Midas of Toledo Spain. Golden Hair Barrette. Damascene Womens Jewelry. 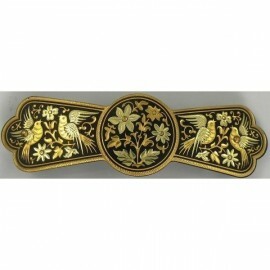 Damascene Gold Bird Hair Barrette style 2348-B. Damascene Jewelry by Midas of Toledo Spain. Golden Hair Barrette. Damascene Womens Jewelry. 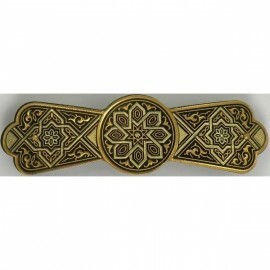 Damascene Gold Geometric Hair Barrette style 2348-B. Damascene Jewelry by Midas of Toledo Spain. Golden Hair Barrette. Damascene Womens Jewelry. 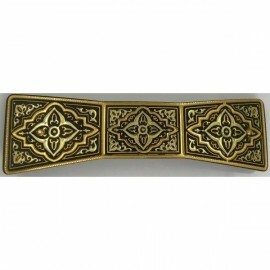 Damascene Gold Geometric Bowtie Hair Barrette. Damascene Jewelry by Midas of Toledo Spain. Golden Hair Barrette. Damascene Womens Jewelry. 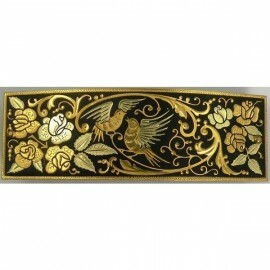 Damascene Gold Bird Bowtie Hair Barrette. Damascene Jewelry by Midas of Toledo Spain. Golden Hair Barrette. Damascene Womens Jewelry. 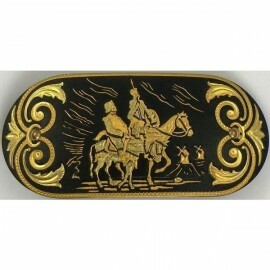 Damascene Gold Don Quixote Hair Barrette. Damascene Jewelry by Midas of Toledo Spain. Golden Hair Barrette. Damascene Womens Jewelry. 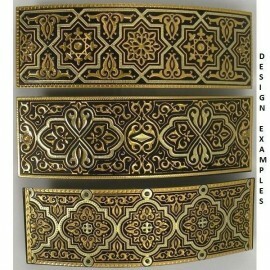 Damascene Gold Geometric Hair Barrette style 2340. Damascene Jewelry by Midas of Toledo Spain. Golden Hair Barrette. Damascene Womens Jewelry.